Fat Quarter Shop's Jolly Jabber: Sew Sampler October 2016 Box Reveal! 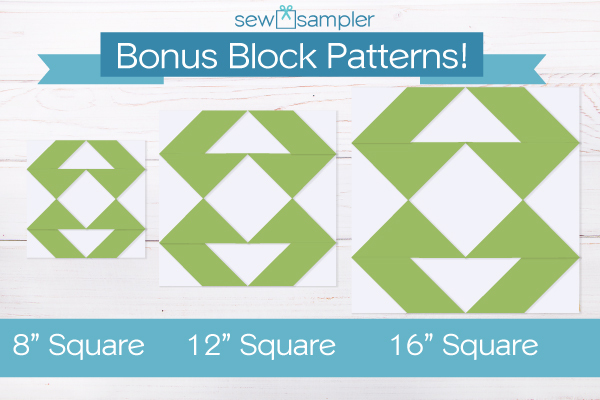 Sew Sampler October 2016 Box Reveal! Happy October, everyone! It's time to share the contents of this month's Sew Sampler Subscription Box! This month we were inspired by all things handmade, which leads us to our theme, "Made with Love." There's a special love for all things handmade in this bright, new collection! Glass-head pins with a thin, sharp tip so they can easily pass through fabric. 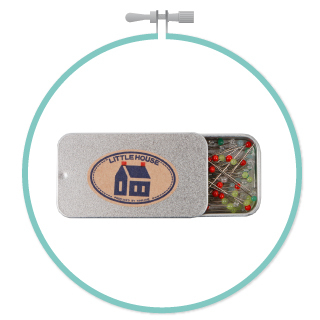 Sweet tin includes 100 pins. 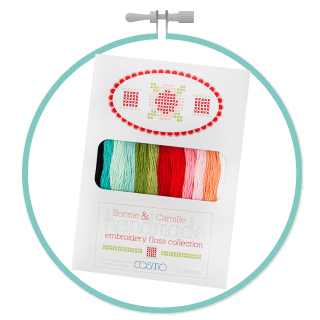 This embroidery floss collection is perfectly matched with Bonnie & Camille's Handmade collection. Exclusive set of chenille needles in size 24. The large eye in the needle makes threading pearl cotton a breeze. 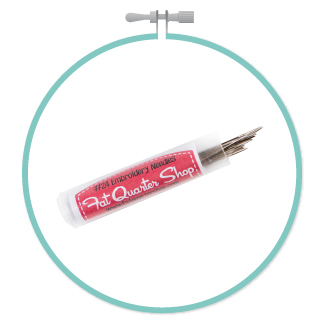 These are perfect for wool applique also! 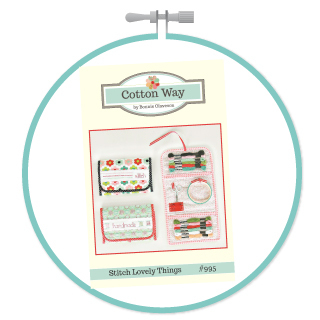 This bag is perfect for embroidery, paper piecing or a binding bag. The possibilities are endless! 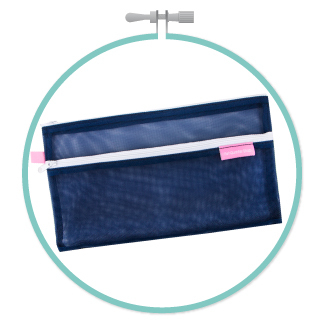 This stylish zipper bag is perfect for storing your Jolly Bar Book (from your August Sew Sampler box) and favorite Jolly Bars in style! Measures: 6 1/2" x 11"
That's not all - we also included our next block recipe! This pattern will give you cutting and piecing instructions to make an 8", 12" and 16" block. This month we have featured Bella Solids Fresh Grass! This is a collectible card, and you can expect to receive one in every box. At the end of the year, we will have a finishing pattern as well. 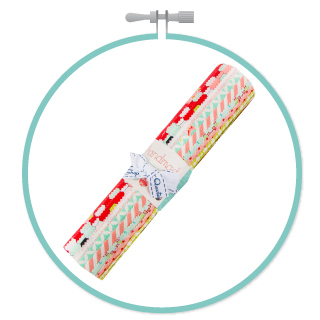 If you want to sew along with us, pick up the coordinating Fat Quarter Bundle we created using Bella Solids. Also, if you are enjoying your box, be sure to take a moment and write a review on our website here.